Description from Goodreads: We have been created to live and work in community. But all too often we see ourselves primarily as individuals and run the risk of working at cross-purposes with the organizations we serve. Living faithfully in a neighborhood involves two interwoven threads: learning and action. In this book C. Christopher Smith, coauthor of Slow Church, looks at the local church as an organization in which both learning and action lie at the heart of its identity. He explores the practice of reading and, in his words, "how we can read together in ways that drive us deeper into action." 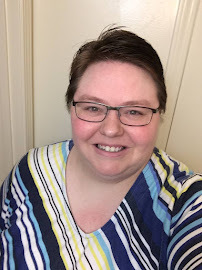 Smith continues, "Church can no longer simply be an experience to be passively consumed; rather, we are called into the participatory life of a community. Reading is a vital practice for helping our churches navigate this shift." Discover how books can help your churches and neighborhoods bring flourishing to the world. Summary: Reading for the Common Good explores how reading in community, specifically the church community, creates a learning community and shared social imagination which results in clearer congregational identity, sense of mission, and wider engagement with the neighborhood, environment, economics, and politics. “In this book, we will view the local church as a sort of learning organization, in which both learning and action lie at the heart of its identity. We will explore the practice of reading—perhaps the most important component of learning in the twenty-first century—and consider how we can read together in ways that drive us deeper into action” (12). Smith encourages us to enlarge our vision of reading, noting that we are formed by the books we read. While we start with the Bible, we expand out from there, reading broadly across “theology, history, urban theory, ecology, agriculture, poetry, child development, economics, fiction and more" (15). Smith’s vision for reading goes beyond the individual to his congregation and community. Great annotated bibliography at the end of the book. 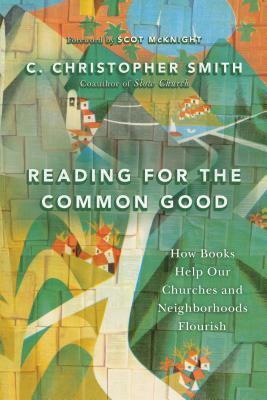 The question the subtitle of the book sets itself up to answer is “How do books help our churches and neighborhoods flourish?” While Smith does set out to answer this question, I found myself wanting more practical and concrete answers. It all felt rather abstract at times. Sometimes Smith’s ideas seem a bit too, well, ideal. Even though he talks about his own church and community, it just doesn’t seem like his ideas would work as well in other places. I received an e-copy of this book from IVP through NetGalley in exchange for my honest review.